Here’s yet another graphic novel with an explosive cast, another ‘alternative’ view on superheroes. But unlike Millar’s ‘Civil War’, the ‘Marvels’ creators Kurt Busiek and Alex Ross get the art AND the storyline spot on. This time the story actually works and I think that may have something to do with the fact that not only are they putting the reader firmly in the place of ‘helpless spectator’, but cementing this angle with a narrator who (by default) is in that situation too. Meet Phil Sheldon, a rookie photojournalist who recounts first-hand experiences and close encounters with the ‘otherly race’. Sheldon is unique in that he witnessed the initial advent of these synthetic gods and takes us not only through their creation and evolution, but also conveys the hopes and fears their presence triggered among mankind. Initially hailed and feared as gods, they are later reviled, and then supported as heroes only to fall yet again in the eyes of the public. This is a complex story to tell, especially from the perspective of your average American citizen who is struggling with his own inner demons. As a character Sheldon was extremely likeable. I found that he added credibility from both a professional and private stance. Him being a photojournalist meant we really COULD look at things through a ‘lens’ of sorts, and experience what the average person would feel if a world full of unruly superheroes was our everyday reality. Too many graphic novels glorify superheroes; make them the safe, good guys. At least here there is a questioning of motives and a look at the destruction that they leave in their wake and what this really means for normal people. Other aspects of the book I applaud is the literary nod in the direction of Mary Shelley, as Busiek cleverly parallels the legendary creation of Frankenstein’s monster with that of ‘The Human Torch’. The panels are artfully done, and the short history of ‘The Human Torch’ really does strike a mixed chord of terror, pity and sympathy. Using ‘The Human Torch’ was a stroke of genius, as the little known second title of ‘Frankenstein’ is in fact ‘The Modern Prometheus’. For those that don’t know, Prometheus is famous in Greek myth as the man who stole fire from the gods and was duly punished for his transgression. Needless to say, this ties in very nicely with the Busiek’s ‘homage’ to Shelley and also (maybe I’m reading too much into it) Milton’s Paradise Lost, as angel’s are purported to be made of ‘holy fire’, which makes ‘The Human Torch’ the perfect character to use. I don’t want to give away the story too much, but it is definitely worth a read. I was especially amused by a section at the back of the book that showed how the creators captured poses by using models (usually themselves, family and friends) to make the characters more realistic. The colour scheme suited the 1950’s feel of the story/ setting giving it a retro effect that I thoroughly enjoyed. One thing: I would dearly like to know what happened to the alien-faced girl. She was a great character and I still feel very sorry for her, but she just disappeared from the story without a trace. Very frustrating. Please, if anybody knows about her, let me know! Ackroyd being the expert on London and the Romantics, is in his perfect element here, as he winds through the delicate passages of Shelleyan research that he has impeccably dissected and rearranged in order to form his own grotesque monster-myth. Frankenstein has always been a firm favourite of mine, and I was a little doubtful as to whether I should read Ackroyd’s fictionalised version of events. 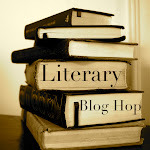 To be honest, I was a little scared that I might be disappointed in discovering yet another clumsy rehash of the classic story – but I was wrong. Ackroyd’s fine-tuning of the essays and academic findings regarding Mary Shelley‘s modern classics shows his attention to detail. A turn of phrase, a meaningful allusion placed in the right moment adds a well-structured depth to the simple story of the man who deigned to be the modern Prometheus. The special thing about the book is that it’s both highly readable for the average reader, yet shows it’s academic foundations very clearly to those who know a bit about the prose and poetry of the era, especially of Byron, the Shelleys, Polidori and Godwin. The scenes of 19th Century London were also vividly brought to life. There were moments were I could almost smell the filth of the city. I also enjoyed the description of the grave-robbers, which were a reailty back in the 1800’s. I derived more pleasure spotting the moments where Ackroyd used his historical sources (even going as far as guessing down to the essay/works it was derived from) to support his dynamic storyline. The only weakness I can speak of that truly hampered the plot, is the weakness of the creature (though his confrontation with Victor was a watered down version of the one in the book) and the ending itself. Not to spoil the book for anyone, in case they should decide to read it, I will only say this much; it was a bit of a cheap trick Ackroyd… I’m sure you could have done much better than that. So far I have read one other novel by Ackroyd, and that is ‘The Lambs of London‘. 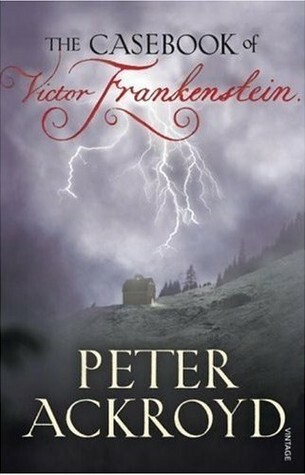 I can honestly say that ‘The Casebook of Frankenstein’ is by far his better novel. Word is Benicio Del Toro has been talking with Brett Easton Ellis about getting this on the silver screen. I’m quite excited about that, considering that Del Toro and Ellis are both big risk-takers in their respective professional fields. It would be quite a strange but spectacular piece of cinema. As usual, Ellis uses his signature style of incorporating his previous creations at various intervals within the novel. More than once, the ice-cold, manicured visage of Ellises most gruesome anti-hero Patrick Bateman appears like a doppelganger. Just as the monster haunts his creator in Shelley’s Frankenstein, so Bateman stalks his creator, reminding him that he is his ‘hideous progeny’, and there is no escape from the infamy of it. Ellis revisits old subjects like love, loss, hysteria, meaningless horror, addictions and obsessions, but with a bit more sensibility. 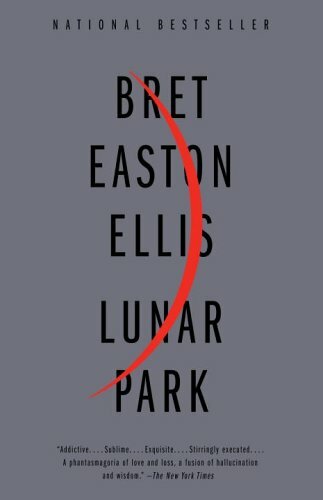 I couldn’t see any traces of the Ellis that wrote ‘American Psycho‘ (thank god), but this also somehow disappointed me.Considering the above, I honestly believe that Lunar Park was a bit tame for me. Having read American Psycho, I was expecting something a little more graphic… but Ellis seems to have matured over the years. 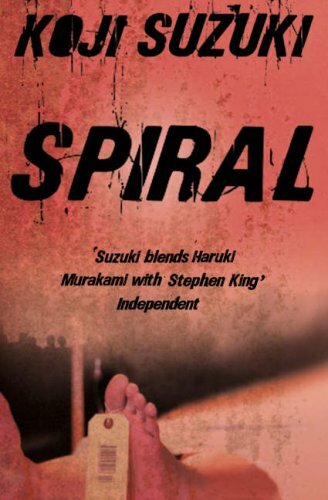 His writing has taken on the flavour of Stephen King, where it’s not the ‘horror’ that gets to you, but rather the ‘terror’ of possibilities that the novel brings to the reader. 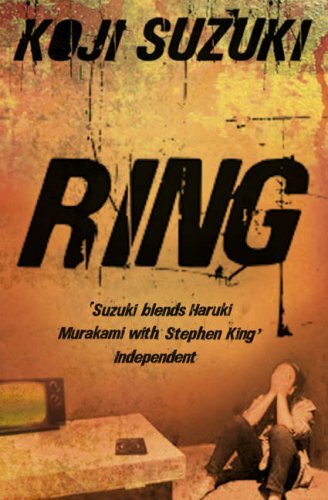 There is however one very cool thing I have to mention about this novel that I especially got kick out of. Now, not many people would be proud that they share the same birthday as Ellis (they’d be afraid and very, very concerned) but I am. 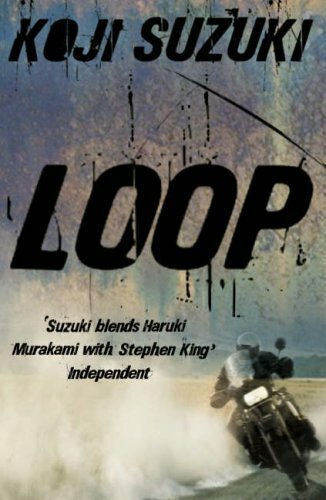 nd for this novel, he makes a very cool motif of it. It gave me the feeling that I was reading something very personal, something almost written for me, which is very rare. If you are lucky enough to be born March 7th, and like gothic/ horror novels, treat yourself to this one. Oh, and Bateman popping-up in obscure places will be the least of your worries; it’s the dog and the crow that you should watch out for… that was disturbing. Ellis explores the broken paths of family relationships and psychic degeneration and the negative effects this has on the various fictional members of his family. He especially touches on the father-son connection (which, some of you might know, reflects Ellis’ own personal problems with his father). The conflicts are subtle, the changes that occur are like the passing phases of the moon, edging the characters into a lunacy that they have felt creeping up on them for some time. Although it’s not as GRAPHIC as I hoped it would be, it is nonetheless a powerful novel. I certainly felt that Ellis was doing what he is best known for, going to a place deep inside himself that the majority of writers would rather avoid. Part autobiography, part fiction, Ellis ventures the darkness of his own psyche, and invites us along for the ride. I give this 3/5 stars. Note: if anyone knows just WHAT Lunar Park stands for, give me a buzz… I still haven’t worked it out yet.